IanniX is a graphical real-time open-source sequencer, based on Iannis Xenakis works, for digital art. Its graphical space spans several dimensions and time scales. Using a palette of fundamental objects such as triggers (events), curves (trajectories in space) and cursors (progression over time), IanniX provides a graphical and interactive representation of time in the 3D space and ensures a bidirectional exchange across multiple communication protocols, including OSC. 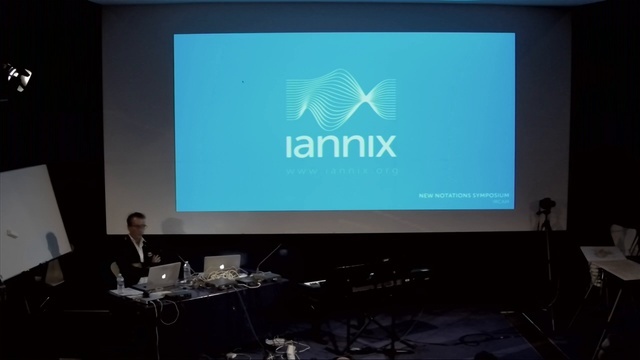 In this presentation I will discuss the ideas that led to the design of IanniX and why we thought this system solves some of the problems of notation in the ecosystem of current musical technologies.